Earlier this year, a simple afternoon drink with friends reminded me how light can be used as a context to teach science, from physics through to biology and chemistry. Having poured some glasses of gin and tonic, I brought them out to my friends on the balcony, enjoying the afternoon sun. 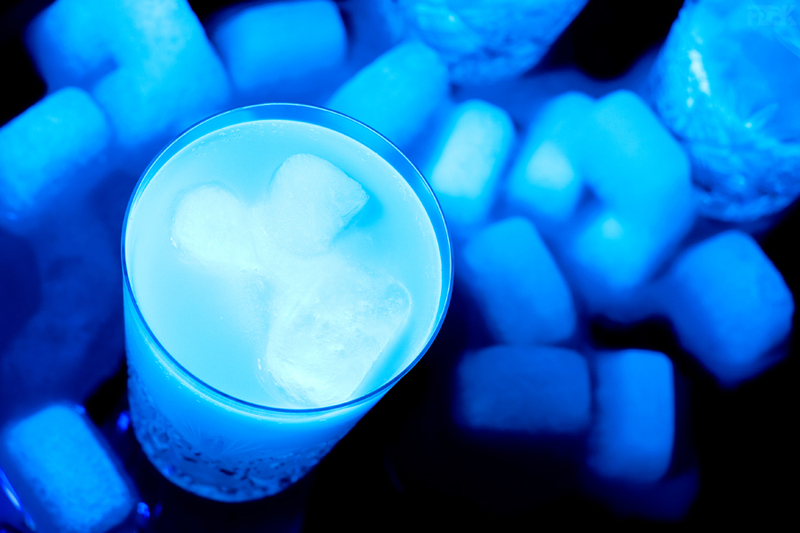 The drinks seemed to have a ghostly blue colour and suddenly I was explaining to the group the principle of fluorescence, the role of quinine – the molecule fluorescing in the drink – in preventing and treating malaria, and the historical discovery of fluorescence by John Frederick William Herschel in 1845 who described the very phenomenon that we were observing after seeing his own tonic water fluoresce in the sun. As he described, a dilute solution of quinine appears colourless, yet under certain angles of incidence of light, a vivid and “beautiful celestial blue colour” can be seen. As I stood on the balcony, light was exciting the electrons within the quinine molecules, promoting them to a higher energy level that they could not easily escape from. When the electrons did drop down, they released their energy as the gentle blue glow we saw. Were it not for the drinks in our hands, we would never have had such a conversation; it was a prime example of how important hands-on activities can be in capturing interest and teaching concepts. I probably shouldn’t have been surprised, though. Every day at Science in School, we work to help European teachers bring science to life for their students. Browsing through our archive you can soon find articles about how nanostructures can give materials colour without pigments, or how electromagnetic spectroscopy helps astronomers see space in different ways. But what of the hands-on activities that bring science alive? One of the simplest demonstrations that we have shared, but one of my favourites, is the solar bottle bulb. In 2002, Brazilian mechanic Alfredo Moser, came up with a way of illuminating his house during the day without electricity. Instead he used the refractive properties of water to capture light and direct it inside. Today, Moser’s design is being used around the world, with the Liter of Light project sharing how to light homes without electricity. In the classroom, or at home, building a solar bottle bulb demonstrates a useful application of the phenomenon of refraction– the bending of a light when it enters a medium in which its speed is different. In fact, although students might not recognise it as light refraction, many will have seen how a straw seems to bend in a glass as it goes from air into water. With some simple experiments, outlined in the article, you can explore the phenomenon and discover that it is the light that is bent, not the straw. Suddenly you can see how using different refractive indices to bend and focus light can have real-world benefits. Teachers can also extend the activity to talk about how you could use the solar bulb to reduce energy costs or explore how different liquids in the bottle might change the properties of the bulb. We are not prescriptive in how our articles and activities are used: we know that teachers will have more ideas about how to use the activities we present to them that we will. This is why the majority of our activities are published under creative commons licenses that allow republication, reuse and adaptation. 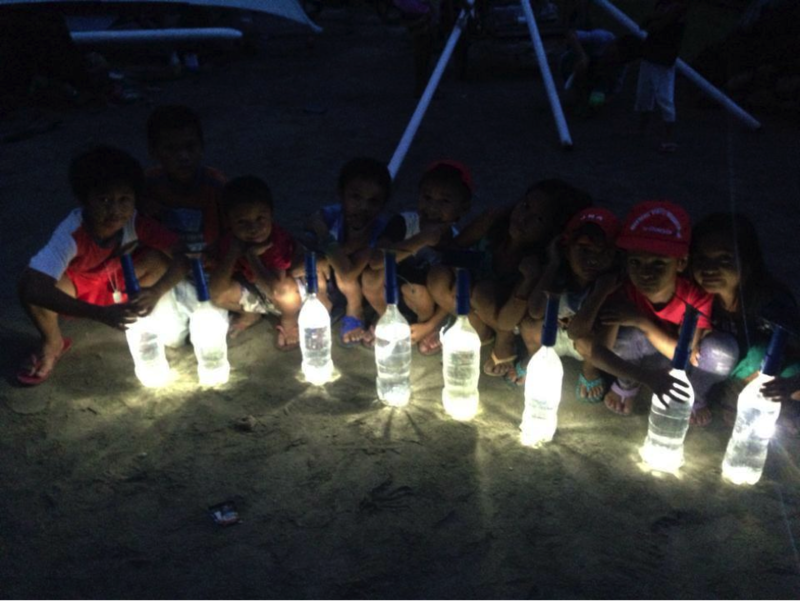 Children with Liter of Light bottles. Credits: Liter of Light Project. For IYL 2015, we have collected together lots of our light-related articles, which you can find on our website. And thanks to a team of enthusiastic volunteer translators many these articles are also published in other European languages. Our article on chemiluminescence, for example, is one of our most accessed articles, perhaps in part because it’s available in nine different languages (to date). And our activity to build your own spectrometer from a cereal box and a CD is consistently popular and also available in several languages. But more importantly, light fascinates us. As the nights get shorter in the northern hemisphere, we are drawn towards illumination. Perhaps this year, as we light up our homes and festive lights appear in our streets, we might think a little longer about the photons we cherish, and maybe ask a few questions about how we get the light we long for. After all, all Michael Faraday needed to capture the imagination of his audience was a candle, and this summer all I needed was the afternoon sun and a refreshing drink. Just think about all of the inspiring science you can teach using light. But perhaps leave the glasses of gin and tonic for the adults! 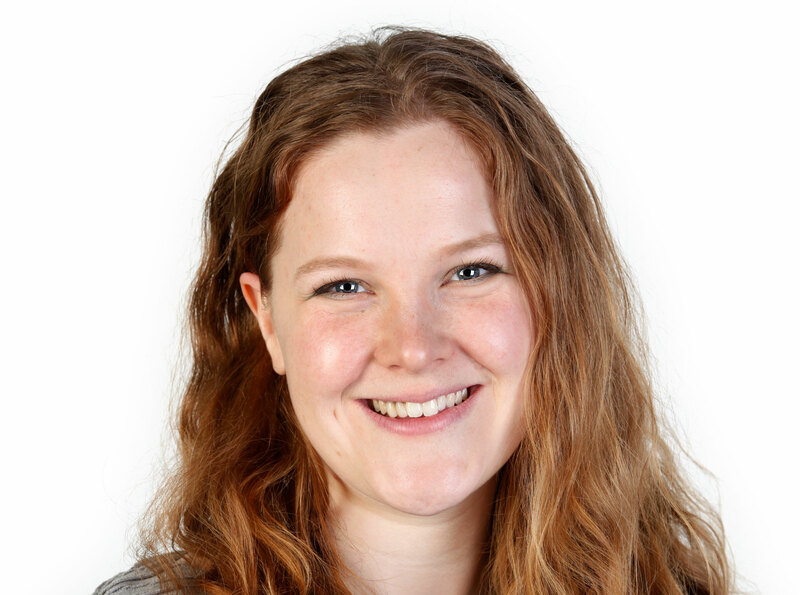 Laura Howes (@L_Howes) is an editor of Science in School, the European journal for science teachers, and is based at the European Molecular Biology Laboratory in Heidelberg, Germany. light is really fascinating. we are so accustomed to it that we fail to see the beauty and mystery its filled with. thanks for the amazing websites. i will read the articles on “science in school” and delve a little bit deeper to understand the mysterious photon.